This morning when I awoke, the sun in Gaborone, where I have right of abode, was a beautiful red round with admirable splotches of gold. I had not seen anything like it in my several weeks of life, but then again my longevity on earth is a mere drop of water in the Victoria Falls compared to that of the two footed rulers of this world. For this reason, unlike the few humans I have had the misfortune of encountering –because they all tried to murder me – who never take time off from their busy schedules to appreciate the six-day trouble that God went through for their ungrateful sakes, I oohed and aahed and let myself imaginarily float in the cool breeze from the north of Botswana which enveloped me. I could have sworn the breeze carried a somewhat energizing stew of water particles from the Okavango Delta, refined dust pellets from the Kgalagadi Desert and sweet fragrances of all the local vegetation you can imagine. All concocted into one perfect chemical composition that wafted into my suburban space. But just then, an unnecessary sudden flicker of the neon bulb which flooded my feeding ground with light startled me out my reverie. Quickly, I scurried to the far left side of the ceiling and waited. Seconds later the man swept into the bathroom singing at the top of his voice. His presence did not bother me as it once would have done so I did not dash for cover. I kept my cute, well-rounded pitch-black pupils fixed him. As always, he vacantly acknowledged me before proceeding to do the usual. Unlike those who had miserably failed to kill me, he had not tried. Ours was a silent agreement, I keep his bathroom free from spiders and mosquitos and he pretends I do not exist. “I see you in a different light…” he mimicked Chante Moore and Jojo while stepping into the bathtub. I watched as scintillating beads of water rolled down his masculine frame. We had one thing in common, he and I. We both had tan skin. Mine a little paper-thin. Without wanting to sound vain, mine was possibly a little fairer and paler than his. Minutes later, he was swathed in steam, though in a sauna he wasn’t. His song was deafened by sweltering sheets of water shooting through the showerhead. He was in a good mood, maybe his girlfriend had spent the night. From my vantage point I spotted my breakfast scuttling behind the toilet head. I was about to launch for the juicy grey spider when the man reached for the silvery knob and rotated enough to cut off the water supply. He was about to towel himself when he suddenly froze, his eyes transfixed on me. Ages passed while he stood like a pillar of salt on the smooth white surface of the bathtub. I had this sudden urge to run for my life but I ignored it because his countenance did not make sense, we had an understanding so why did he look like he had seen a monster. Run, my inner voice warned and I ignored. He sees you in a different way through different eyes and what he sees is not pleasant, the voice pestered, sending chills running down my spine, all the way to the tip of my tail. If he wanted to kill me or scream he would have done so by now, I reasoned, unless of course his tongue had betrayed him and was stuck to the roof of his mouth. Just to test him, I took a few steps forward. His eyelids immediately batted as if to erase images of me, then he screamed so wide-mouthed I could see his vocal folds vibrate. But he did not move. Footsteps came rushing towards the bathroom. “Baby,” a female voice called out. That was my cue to leave. The nearest hideaway was the very place where my eight-legged breakfast had taken refuge. “Gosh are you okay?” she enquired as she pushed the door open. He hesitated for a while. “Yes, but it’s fine. It ran off,” he said, grabbing a towel. “Okay, but promise not to laugh or see me as less a man,” he said avoiding eye contact. I watched her wrap her arms around his neck and whisper. “It was a gecko….it’s see-through skin and those red and dark-green veins…. brrr….” he cringed. 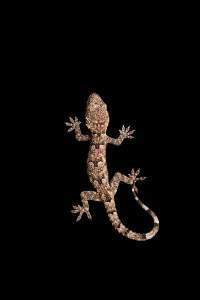 “A gecko,” she eyed him with a quizzical brow. When he shook his head in confirmation she could not help but laugh. “Sorry, I know I promised not to laugh, I imagined something gigantic,” she said amidst laughter, and he joined her. “Okay, I will take care of it,” she said, waving him off. “Please don’t tell anyone about this. It’s still rather embarrassing for a black man to scream like a girl and be paralysed at the sight of a five centimetre gecko,” I heard him say. “My lips are sealed,” she vowed, then stealthily headed towards my hiding place with an old sneaker in hand. I knew it was time to escape or die. Quickly I calculated the distance between the toilet and the tiny window above me and made a run for it. I must have miscalculated because I missed a step and somersaulted in space several times before falling into the static toilet water. For a moment there I wasn’t sure if I was swimming or drowning, in case of the later I decided to say my last prayer. “Hey there little fellow, relax I am not going to kill you,” her angelic voice calmed me down a little but the man’s humongous shoe she held towards me wasn’t very convincing. Without warning, she scooped me out the toilet and threw me out of the window, shoe and all. It was one bumpy ride and rough lending, a near death experience. 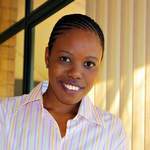 Sharon Tshipa is a Media Practitioner and Social Entrepreneur and lives in Gaborone, Botswana. Her stories have been published in Deyu African, The African Street Writer, The Kalahari Review and Running Out of Ink. Her Short Story entitled ‘Like Little Ones Do’ won her a 2013 Kola Magazine Award in Nigeria. Sharon has contributed to a historical play called ‘Sechele 1st’ published in 2011. She is also a CACEAfrica 2014 Writivism Writivist.